With Celiac disease affecting one percent of Americans (three million), and an estimated 86 percent of cases going undiagnosed, it’s more important than ever to explore treatment options. 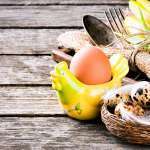 While completely avoiding gluten is the most effective way to treat the condition, many new treatments for celiac disease and gluten intolerance are on the horizon. We’ll explore a few in this post. One promising treatment for celiac disease in the testing stage is an experimental drug from Alvine Pharmaceuticals called ALV003. Since not all gluten is digested in the human body, studies suggest a specific leftover chain of amino acids is responsible for the body’s unnecessary attack on gluten. The drug is a combination of two proteins that work together to break up the amino acid chain. The drug is in the clinical trial stage. Another treatment for celiac disease in the testing phase is a drug called BL-7010 from BioLine RX in Israel. A study conducted in 2014 showed that the drug, a non-absorbable polymer, was successful in preventing the protein in gluten, (gliadin) from triggering an attack from the immune system. The first trial showed the drug was well tolerated and safe, but further studies will be necessary to prove the drug is effective in the treatment of celiac disease. A third treatment for celiac disease is a drug from Alba Therapeutics called Larazotide Acetate. This drug promotes close junctions in the body that prevent the digestive tract from leaking. These close junctions stop the immunogenic peptides present in gluten from leaking through the intestinal walls, which triggers the damaging immune reaction. 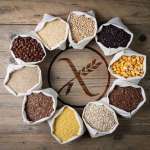 Clinical trials are showing promise, and evidence is mounting that the drug is not only effective at treating accidental gluten ingestion, but also in treating symptoms that some patients suffer with despite adhering to a strict gluten-free diet. The drug seemed to lessen the main symptoms of celiac disease, which include diarrhea, stomachache, headache, tiredness and gastrointestinal distress. Again, the most effective way to treat the condition is by living a gluten free lifestyle, but for some folks who this may be hard for, these drugs may be a viable alternative. What do you think about these potential options for managing the effects of celiac disease? Share your thoughts on our Facebook page.